Smartphones and Tablet PCs have gained an important spot in our everyday life. One can’t imagine a day without a smartphone or tablet around. These gadgets have become highly popular and in-demand amongst people of all ages around the world. Altogether, this has been possible because of the modern features, huge capabilities and brilliant applications on these devices. Some reports claim that smartphones and tablets are a major source of adverse effects on one’s health. One the other hand, people are now utilizing these gadgets to stay fit and healthy. The market of ‘Health & Fitness Apps’ has grown a lot in the last 5 years. If you visit the Google Pay Store or Apple iTunes Store, you would find numerous ‘health and fitness’ mobile applications. According to a survey report published few months, the average daily use of health and fitness applications grew by 62% in the time frame of December 2013 to June 2014. Where, the overall app usage grew by 33% only. The same report also contained gender distribution statistics, which claimed that the health and fitness applications are mostly used by female smartphone/tablet users. The report said that out of all, 62% females and 32% males use these applications on their devices. These figures reveal that there has been a major growth in the total number of smartphone/tablet users, who access health and fitness mobile applications on their devices. 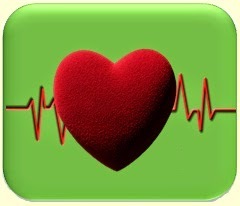 People use such apps to track their running, count steps, monitor heart rate, learn exercises and know about diseases, their precaution and remedies. The South Korean Smartphone manufacturer, Samsung, has moved ahead in the ‘health and fitness application’ industry by introducing innovative smartphones, which comes with various exclusive pre-installed health and fitness applications. With time and constant demand, the mobile application industry would definitely touch new high in terms of earnings. Following which the requirement of new ‘health and fitness applications’ would also spring up, bringing fresh opportunities for mobile application development companies. 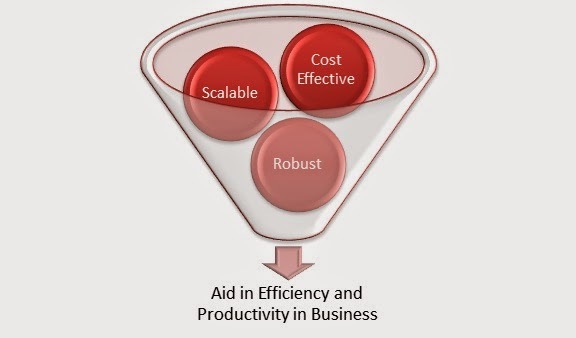 For running a successful business enterprise, collaboration, connectivity and networking is necessary to manage business processes well and keep abreast with the latest developments in business. With technological advances, cloud computing and business applications, it is in fact quite easy too if you are well informed about latest market developments. Well, it is the Android utility apps that are ruling the market today. Even developers first build apps for Google Play due to the monetization of apps, use of simple Java programming language, event-driven apps which support regular updates, support for myriad software platforms, no requirement of licensing or royalty fees, 2D and 3D graphics support and yes! Freedom to build innovative gaming apps or Android business apps. Most of the small business enterprises and startup companies can avail of free Android business apps to augment collaboration and automated business processes. No doubt, everyone uses mobile phones today most of the time --- for entertainment or for office work. Even if you go for a holiday, the mobile phone follows you everywhere! It can help you find an affordable local restaurant in a foreign city within seconds! Herein lies the possibility of utilizing the reach of this mobile medium for growing your business. Small business organizations and start up businesses can use Android business apps already available on Google Play for free and use them to share status, updates, access files and directories from multiple devices even while on the go, without being disconnected from your colleagues and employees in the office. Larger enterprises are going in for Android utility application development and have their own Android business apps and gaming apps to reach out to their prospective customers directly. Their clients log in via social networking sites such as Facebook and Google Plus and while they offer utility information they require, the companies monetize the apps, advertise about their products and eventually transform into a brand themselves! There are apps for generally everything today. Well, for efficiency in business, there is an app which lets you 'be a local' no matter where you are while travelling. There are apps which help to share and store files or aid you in taking notes during meetings, including voice recording on any device --- iPad, iPhone, Android, laptop or desktop. Most Android business apps aid in common business and productivity functions such as scanning business cards, working with MS Office documents, reading PDF files, or even organizing appointments. Other tasks covered by them include taking notes, blogging with WordPress, printing with WI-Fi and Bluetooth-enabled printers to always be in touch with important business work, have access to business documents --- all this from anywhere, anytime! For instance, WordPress is a popular and free blogging tool --- an Android app which can help you post, edit, manage blogs, receive alerts and notifications even while you are not in office. You open up to advanced automations in everyday business tasks expanding productivity. Needless to say, these mobile devices and apps have brought in unprecedented access and so much of flexibility in the way businesses are run today. You can use millions of business apps on Google Play and make millions as profit in your own business with increased efficiency, productivity, faster business decisions and the most important --- customer care and service. With the introduction of various new technologies, the popularity and demand of smartphones have reached new heights. The latest introduction, ‘Android One’ has brought mobile platform developers and hardware component suppliers together. This has ensured the mass adoption of smartphones that too at lower price tags. Google’s Android Operating System is one of the most popular and successful mobile operating systems. The Android OS is being widely utilized by business enterprises and organizations for various day-to-day business works and marketing campaigns. It is well known that customers are the most precious gems for any business enterprise or organization. A CRM software helps business enterprises to find, build, grow and maintain profitable customer relationships. The introduction of Mobile CRM, earning satisfied customers has become easier.